CANTALUPO, Cheryl A. In Hanson, formerly of Malden and East Boston November 20, 2018. Beloved daughter of the late Dorothy M. (DeGaust) Cantalupo-Sisson. Dear sister of Ann Cantalupo and her fiance Jim Reale of Walpole, Jennifer Sisson of Hanson, Stephen Emery and his wife Hilda of NJ and Mark Gwynn of Quincy. Also lovingly survived by 1 niece, 1 nephew, several cousins and her furbabies Marcello and Kai. 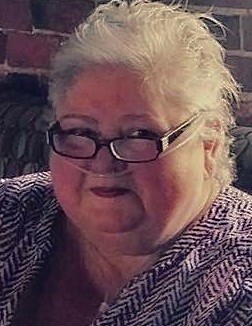 Funeral Mass in the Sacred Heart Church, 386 Hancock St., Quincy on Wednesday, November 28, at 11:30. Relatives and friends invited. Visiting in the church prior to Mass commencing at 10:30. Interment Gethsemane Cemetery, West Roxbury. Cheryl was a Medical Administrator at Brigham and Women's Hospital for many years until her retirement. In lieu of flowers donations in Cheryl's memory to the Dana-Farber Cancer Center would be greatly appreciated.